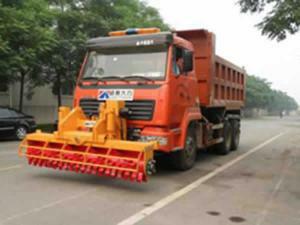 The YDSB0824 snow blower is special equipment for fast snow removal, specially developed by Gaoyuan Road Group. 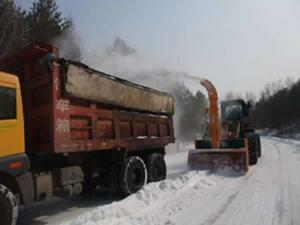 No matter how large cover area and how heavy the storm is, this equipment is able to remove the snow quickly and efficiently. 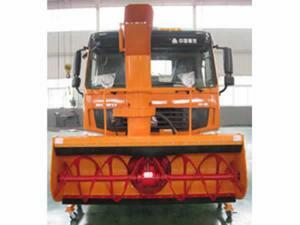 The snow blower can be used independently but will perform better results when using accompanied by snow plough. 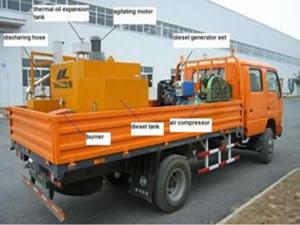 It is placed at the mounting rack in front of the truck to remove snow from roads during traveling. The throwing direction of the snow blower can be regulated transversely in 210° and the height can be changed according to different demands. 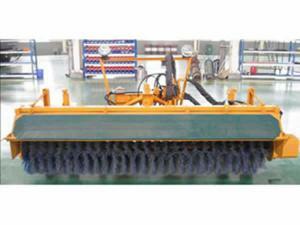 Special rubber blade features wear resistance and good toughness avoiding damaging the pavement or itself and it can be pushed down to remove compacted snow covering a pile. The snow blower has a large screw propeller that effectively delivers snow to the central throwing outlet. Its special zigzag structure can scatter the compact snow cover. 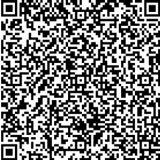 The snow blower has its hardware made of low-alloy high-tensile structural steel with excellent low temperature properties. It is coated with several anti-corrosive primer and external paint which makes it anti-corrosive. It adopts quick coupling with the chassis, easy for a single person to operate in short time from the cab improving working efficiency. The snow blower has lights to assure safe work during night. 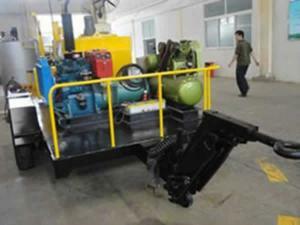 The whole equipment is compatible with trucks of various models and brands. There are many techniques applied in the snow blower assembling process such as several kinds of fixtures and advanced laser cutting technology to improve quality. It has also auxiliary supporting wheels to store, move or assemble and disassemble it effortlessly. The snow blower is useful to blow snow out of the high-level roads, squares, scenery spots, urban roads, driveways and sport fields cleaning the ways and making them safer.